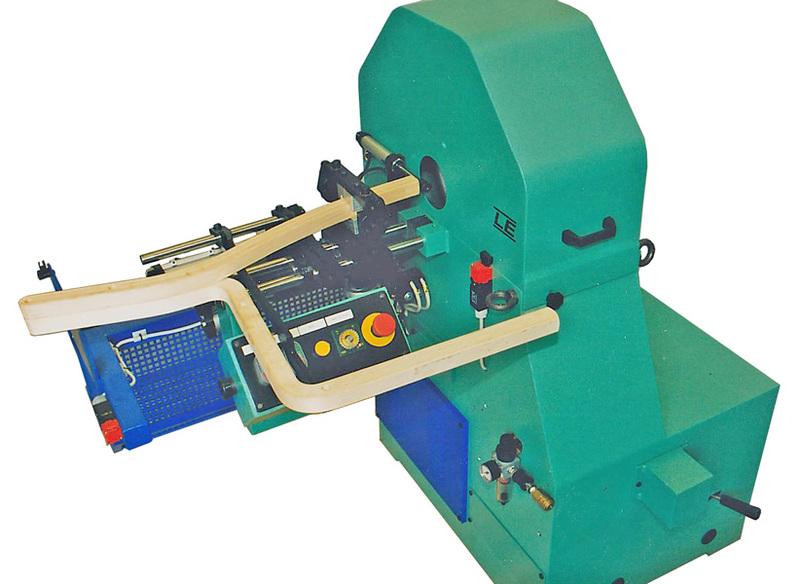 Machine for endsanding or endshaping through sanding belt on round or square wooden ends with max size 50 mm. ( max working surface 75 mm. diameter) . 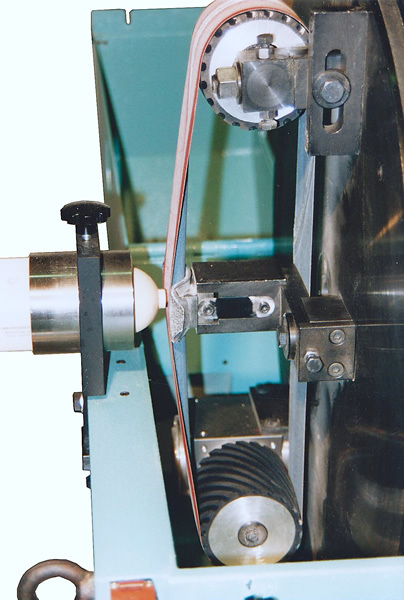 Workpiece under process can be blocked through a pneumatic clamping device sliding with manual feed ( or automatic on request ) on two slide guides toward the shaped pad on which the abrasive belt rotates through orbital sanding system. 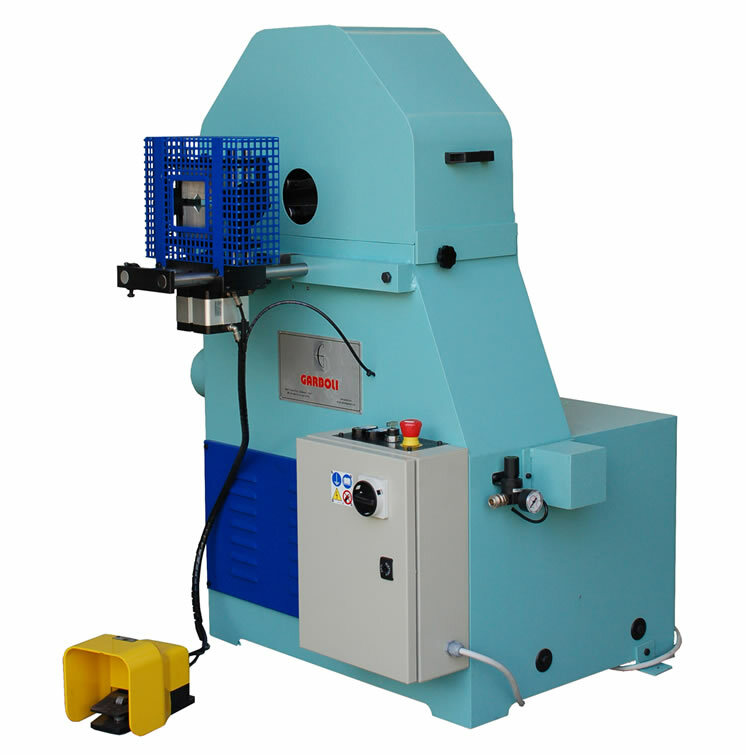 This unit is particularly suitable to sand furniture components shaped ends and for the “pin” removal on items subject to turning process. Minimum diameter: 10 mm. Abrasive belts size: 1200 x 80 mm. Disc motor: 1,5 Kw. Standard voltage: 400V/50 Hz. Abrasive belt motor: 2,2 Kw.